We only have 10 more days left here in Miami and it occurred to me that we have been spending way too much time in the house lately. It’s 85 degrees outside today and our air conditioning hasn’t been working very well so Parker and I suited up and went to the pool to cool off. We had the whole pool to ourselves and Parker was loving it! The water was warm so we got right in and he started floating and kicking his legs. I think we may have a little swimmer on our hands. 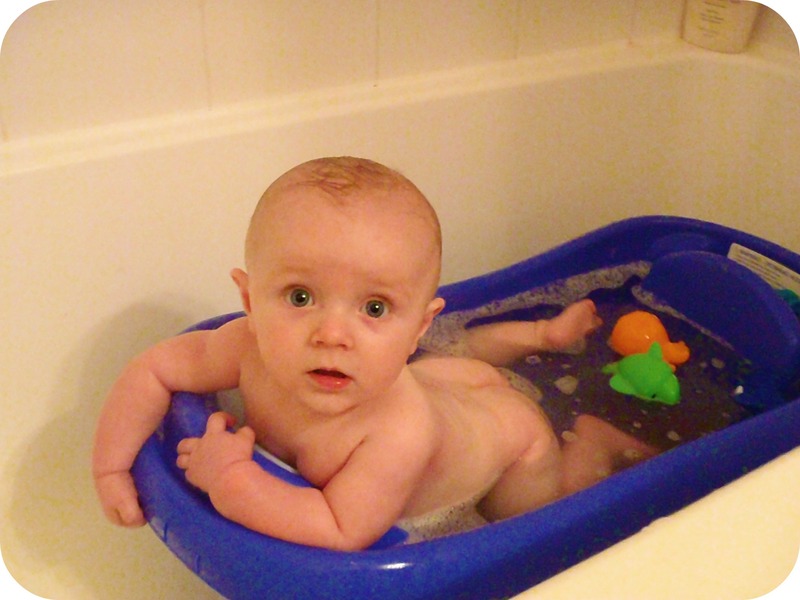 I didn’t get any pictures of him in the pool but I do have this picture of Parker in the bath from the other night. Hey, the pool felt like bath water anyway so it’s pretty much the same right? And how can I resist any picture of that cute little bum.